A beautiful one of a kind 20 oz. tumbler. 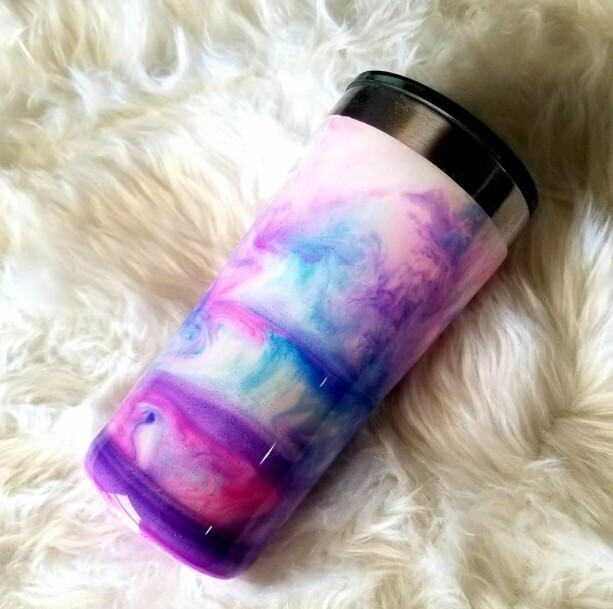 This tumbler keeps drinks hot or cold for hours! It can be personalized with your name before shipping. All tumblers and mugs are sealed to give a long life to the design and lettering. Please note the care instructions that are included with your tumbler mug. They are not dishwasher safe and can not be soaked in order to stay looking as beautiful as the day you ordered it! If you would like personalization, please be sure and contact us when you order so we can include it on the order form.